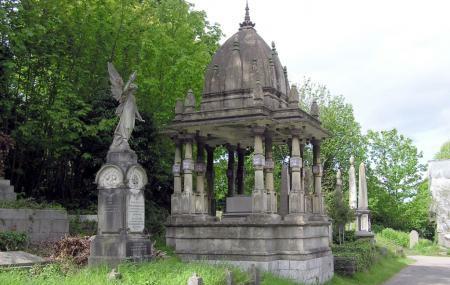 Arnos Vale Cemetery is a Hillside Victorian cemetery which is one of the heritage spots in Bristol. The cemetery is now a conservation park for flora and fauna in the place and is truly a magnificent place of peace and serenity. The cemetery also has wildlife tours that can be enjoyed with family and is a great way to spend an afternoon. The cemetery even has a café which is perfect for a sip of coffee in the evening. Buses from adj Paintworks can take you to your destination. Taking a train from Bristol Temple Meads can get you to the destination. How popular is Arnos Vale Cemetery? People normally club together Cabot Circus and Noah's Ark Zoo Farm while planning their visit to Arnos Vale Cemetery. DO NOT be put off by the fact that this is an old crematorium and graveyard. This place is fantastic and being local I come here a lot with the kids as there are many wonderful Acer's to wander around. It also has a fantastic coffee shop with great cakes and some history as well with the inner workings of the crematorium downstairs to view along with other things. Also a big thumbs up for the organizers who put event's on there are many nights of cinema viewing and tour's etc. My 6 year old went to a screening of The nightmare before Christmas and loved it. Really glad this place is on my doorstep. 👻⚰ Easy to find as it's the dead centre of Arnos Vale. A nice walk around if you don't mind the fact you are in a cemetery. Been to a number of plays here and the standard has been fantastic. One small gripe is even when the cafe has been open I haven't been able to get hot drinks as they have the machine off or food due to the lack of G/F availability. Otherwise a lovely evening venue. Also a charming and delightful place to visit in the daytime too, charming gift shop and friendly staff. I was booked to do a wedding at Arnos Vale, it's a great place with friendly staff that are always welcome to help you, a little cafe to have food and drink's and very close to the park. Spend a couple of hours here, it is really interesting and great for photography. There is also a cafe for a hot drink and snack. The place has a very gothic feel and lots of interesting places to look at.